A 25th anniversary is always a festive occasion—and, for Sisters in Crime (SinC), the event is all the more merry because it’s shared by at least 3,000 sisters. This year, SinC celebrates multiple key dates in the creation of the organization. 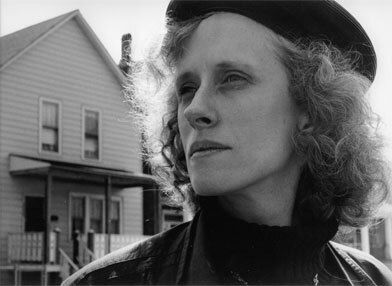 In March 1986, at the first conference on Women in the Mystery at Hunter College, a speech by Sara Paretsky “set off a firestorm around the mystery world” that eventually led to the creation of Sisters in Crime. 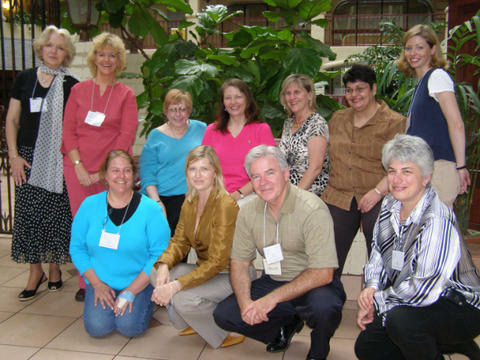 The group that became SinC made its debut in 1986 at the Baltimore Bouchercon when Paretsky convened the initial meeting of women interested in the project. Nearly six months later, during Edgars Week in the spring of 1987, a breakfast meeting at attorney Sandra Scoppettone’s New York loft brought a group of women together to discuss the state of crime fiction, publishing and women authors—which wasn’t good. At that gathering, Sisters in Crime was born. At the time, women wrote about one-third of the published mysteries but garnered less than 10 percent of the reviews in the media. Last year, according to the submissions for the Mystery Writers of America’s Edgar Awards, women wrote about half of the mysteries published. And, according to SinC’s review monitoring project, something less than half of today’s review space goes to crime fiction written by women. It’s not a perfect outcome, but the ratio is definitely much more equitable than it was 25 years ago. That narrowing of the review gap is a testament to what determined professional women can accomplish. But the work doesn’t stop there. Sisters in Crime continues to diligently “promote the professional development and the advancement of women crime writers.” The more than 3,000 SinC members include readers as well as writers, men as well as women—and librarians, publishers, agents and others. So what has SinC done for readers and writers lately? The organization sponsors a “We Love Libraries!” lottery created to provide one library a month with $1,000 in book-buying funds. Since its launch in January 2010, the SinC lottery has provided book-buying grants to a total of 20 libraries located in the United States—a $20,000 commitment to our nation’s libraries and library patrons. Make sure your library is registered for the drawing! See sistersincrime.org to access the easy online registration process. This year, SinC released the results of a collaborative study on the book selection habits of crime fiction readers. The survey, the first of its kind, provides an overview of the mystery/crime fiction book-buying landscape, with information on who buys mystery books, where they buy them, what they buy and why they make their mystery book purchases. The research is based on publishing industry data gathered and interpreted by the PubTrack book sales analysis division of Bowker (a unit that specializes in providing business intelligence to publishers, retailers and authors)—and input from a Sisters in Crime survey team. In addition, during the past year, SinC published a 2010 Publishers’ Summit report on e-publishing, with information on the new face of publishing and reading based on information from Amazon, Apple iBooks, Google Books and Smashwords. The report is available on the SinC web site under “Members” and “Publishing Summit Reports,” and also is available to nonmembers. And what are we working on now? Sisters in Crime will sponsor its annual “SinC Into Great Writing” pre-Bouchercon workshop in St. Louis on Wednesday, Sept. 14, from 1 to 9 p.m. For only $50, SinC member attendees can learn from the best about what’s happening in e-publishing, how to publish an ebook, which route(s) to publication writers should consider and how to find readers using new technologies. David Wilk, CEO of Booktrix, a publishing and marketing services consultancy, will talk about “Planning for a Long Career in a Changing Industry” and bestselling author Meg Gardiner will talk about “Lying for a Living.” Nonmembers are welcome to attend. Check sistersincrime.org for complete information on this professional development opportunity. Also in St. Louis during Bouchercon, SinC will hold a 25th Birthday Bash Breakfast on Friday, Sept. 16, at 7:30 a.m. at the Roberts Mayfair, a Wyndham hotel very close to Bouchercon’s Renaissance Grand Hotel. The celebratory SinC breakfast offers an opportunity to catch up on the latest SinC news and the chance to meet, greet and network with Sisters and Misters. Members and nonmembers are welcome to attend. 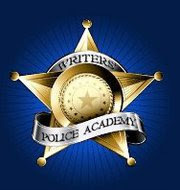 Sisters in Crime is assisting SinC members who want to attend the Writers Police Academy in Greensboro, NC, from Sept. 23 to 25 by offering a deeply discounted $100 registration fee. This professional development experience offers an opportunity to have fun with fellow writers while experiencing police ride-alongs, firing range practice and the latest in forensic technique and practice. Also coming soon is the publication of the 2011 Publishers’ Summit report, focusing on how readers find books, with insights from Nancy Pearl (of Book Lust fame, also known for having her very own Librarian Action Figure) and others who gathered at the American Library Association’s annual meeting in New Orleans. And, of course, there will be parties. Lots of parties! What’s a 25th anniversary without parties? Bouchercon and Killer Nashville are only two of the party sites. And, of course, SinC chapters will be hosting parties at libraries and bookstores around the country for the entire year. So join us … the more Sisters (and Brothers), the merrier! Cathy Pickens, the national president of Sisters in Crime, is the author of the award-winning Southern Fried mystery series featuring South Carolina attorney Avery Andrews. The most recent title in the series is Can’t Never Tell. Thanks for sharing that history. We have a fab celebration party planned by the New England chapter coming up on September 24. You're all invited! I really enjoyed reading the history behind SinC - fascinating and inspiring story about strong women's banding together. Love it! Have fun at BoucherCon - wish I could be there. I hope to see lots of pictures! I discovered Sisters in Crime after I'd sold my first book, and boy did I wish I'd found it before while I was struggling and trying to find my way. 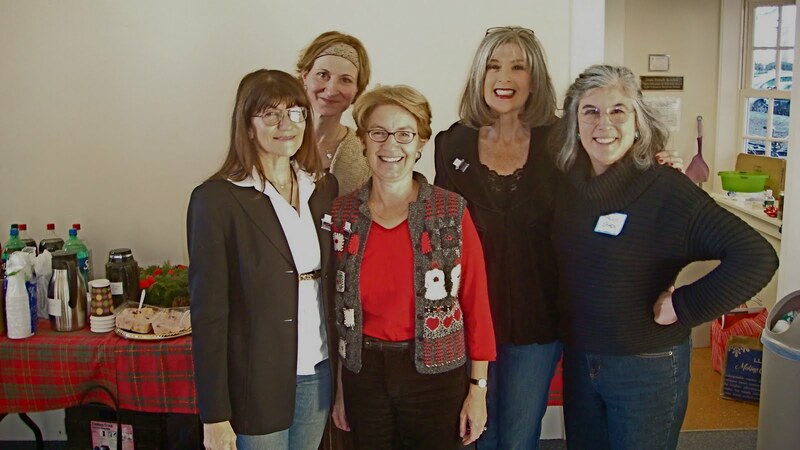 It's a great community of writers, and our New England chapter, headed by Sheila Connolly and VP Barbara Ross, is amazing and vital. Best thing about it is its needle-sharp focus on helping and promoting the work of women crime fiction writers. Great post about Sisters in Crime. Thanks for writing it, Cathy. And the pictures are wonderful, too. I hope everyone who reads this who isn't already a member will consider joining. There's plenty of opportunity for readers and librarians as well as professional writers. I should know—I've been a member for nearly 20 years now and I can't plot and hate to write conversations! I'm about to burst into tears. Thank you, Sister. SO proud to be a part of this..and so happy to know you all. Wait--my captcha word is "notsly." Hmm..I really thought I was.. So much happening with SinC that I was bound to forget something, but Hallie's mention that she wished she'd found SinC sooner reminded me. Should have mentioned the Guppies chapter -- "The Great Unpublished." They're a tremendously supportive online chapter of writers working toward publication, with loads of success stories. I, though, joined SinC because I was a total fan girl! Sisters in Crime is a great organization for mystery writers and readers. I wish more people in the Pacific Northwest were active in the local group. I'm proud to host our Arizona Chapter of Sisters in Crime, Desert Sleuths, every year at the library when they bring us their new anthology. Can't reveal this year's title because they're revealing it next week at the annual conference. I'm a librarian, not a writer, but a proud member of SinC. And, that's a picture of some of the Desert Sleuths in the Santa hats at my library, Velma Teague, in Glendale, AZ! Happy 25th celebrations to all Sisters in Crime! I'm such a fan of SINC I belong to two chapters - New York and New England. Sounds odd, but I live smack in the middle and this way I get to meet twice as many people and do twice as many things. And I may be prejudiced but as a former president of SINC New England I share Hallie's enthusiasm for the NE chapter - it's also where the JReds first got together - at a SINC meeting.